Asiago, first made in 1000 A.D. and named for its town of origin, is the most important cheese of Italy’s northeastern Veneto territory. The Asiago area, located in the picturesque foothills of the Dolomite Mountains, extends from the namesake township into the expansive and enchanting “Alopiano del Asiago,” (the Asiago Alpine plateau). This fertile land is distinguished by its lush grazing pastures and a populace long dedicated to upholding their unique Asiago-making traditions. Passionately valued since antiquity, Asiago became one of the first cheeses granted protected status- first under Italian law in 1978, then adopted into the EU’s 1996 regulations. Originally, before cattle farming quickly spread across the plateau in the 1500s, Asiago was produced from sheep’s milk. But soon this iconic cheese became exclusively made from the rich cow’s milk collected solely within the restricted Asiago region. Due to WWI, when demand for sustainable, highly nutritious food didn’t allow much time to mature cheese, Asiago Fresco (fresh) was born. Its delicate, delightfully mild, sweet taste was forever after treasured. 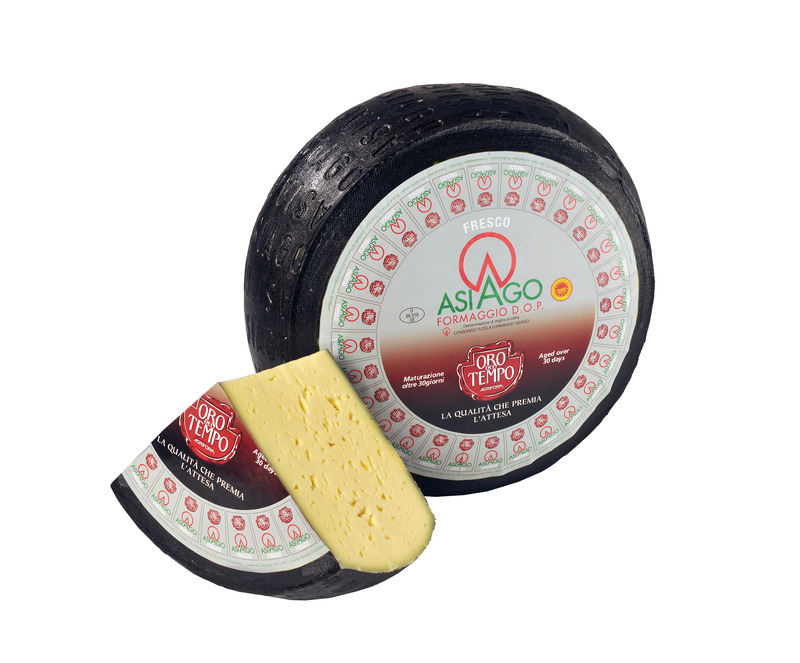 Application: A classic table cheese, Black Waxed Asiago Fresco also melts well and is extremely versatile for cooking. Melt over polenta or vegetables or into crepes and croquettes. Add to pasta dishes and quiches, or cube and toss into salads. Pairing: The delicate, creamy taste of Black Wax Asiago Fresco should be accompanied by a dry white or rosé wine. Fortunately, the Venito is home to some wonderful Soa ves. If served as an appetizer, Prosecco is an excellent choice. Arising from Spain's grand horticultural tradition of fresh marinated vegetables from the Ebro river delta, Industrias Coquet has been an undisputed specialist of marinated garlics for the past 40 years. Their family's roots in the area and the local traditions, helped them to craft authentic recipes with distinctive personalities for their products that cannot be found anywhere else. All Coquet products are produced by hand in small batches. 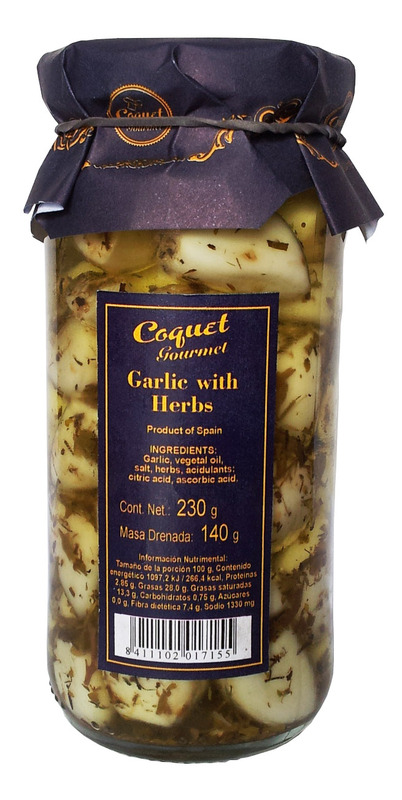 Coquet marinated garlics are washed in fresh water until all the 'bite' is gone, leaving only a sweet delicate garlic flavor that marries perfectly with jamon, marcona almonds, piquillo peppers and manchego. The fresh flavor that results from the mixture of herbs and garlic is perfect to present the most exquisite salads. They are great served as tapas, paired with a cold beer or a cocktail, and can be used on salads, hors d'oeuvres or cold dishes.